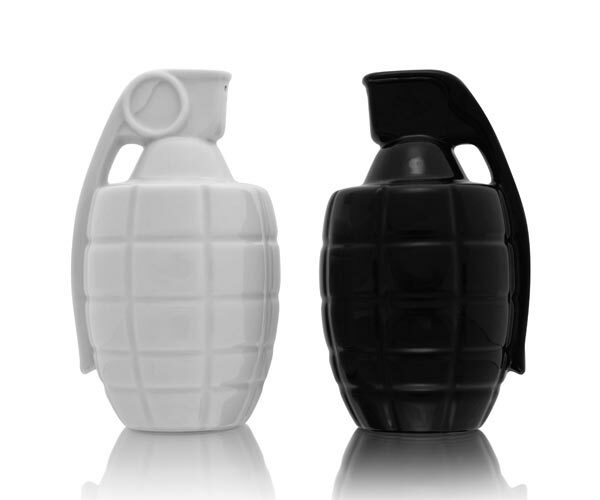 We have already seen some hand grenade themed Christmas decorations on Geeky Gadgets, now you can get yourself a pair of these fun hand grenade salt an pepper shakers, the Taste Explosion Salt & Pepper Shakers. 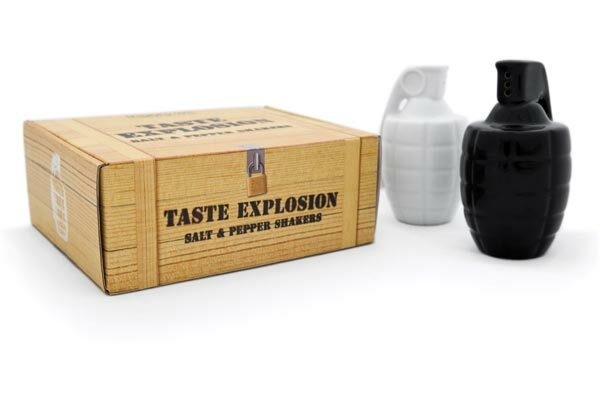 Make meal times a blast with Taste Explosion, the grenade salt and pepper shakers. Produced from quality porcelain, this pair of shakers will definitely add a bit of boom to your dining room. If you want a set, the Taste Explosion Salt & Pepper Shakers are available £9.95 about $16 from thabto.